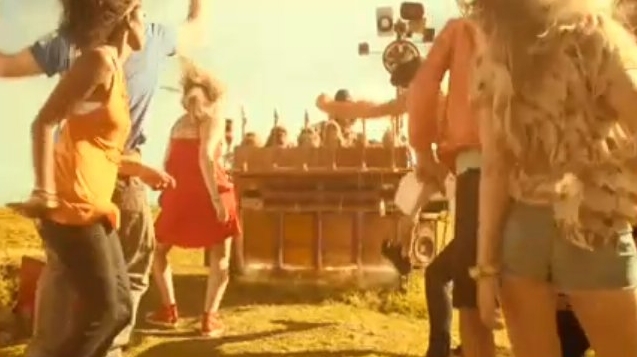 Heartbeat + Shaky Camera + Drug Addled Hipsters = NATO Huh? Yea. Give this a watch and let us know why the hell it looks like a bunch of kidnapped hipsters end up happily raving the thump of a DJ. Oh wait. The tagline line informs, "Freedom to do what you want. We help that happen." The other two videos are equally strange. So yea, we get the campaign's message. And that was before we watched the Making Of video. But still. We need to create a new category labeled "Overseen Internet," expressly for stuff that we stumble upon by chance and haven't got words for. 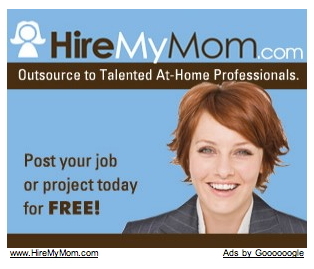 This banner ad for Hire My Mom is one such gem. The URL's actually slightly deceptive -- it caters to mom professionals, not kids hoping to score a gig for Mummy, who's busy drowning her sorrows in a bathrobe and gin. Still though.